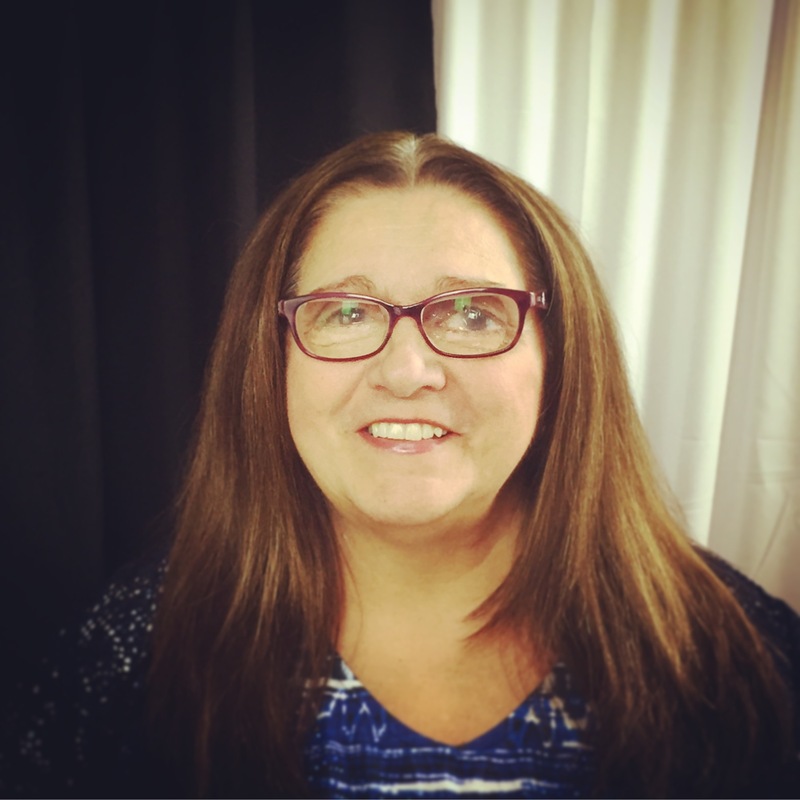 Today we’d like to introduce you to Terri Bratcher. 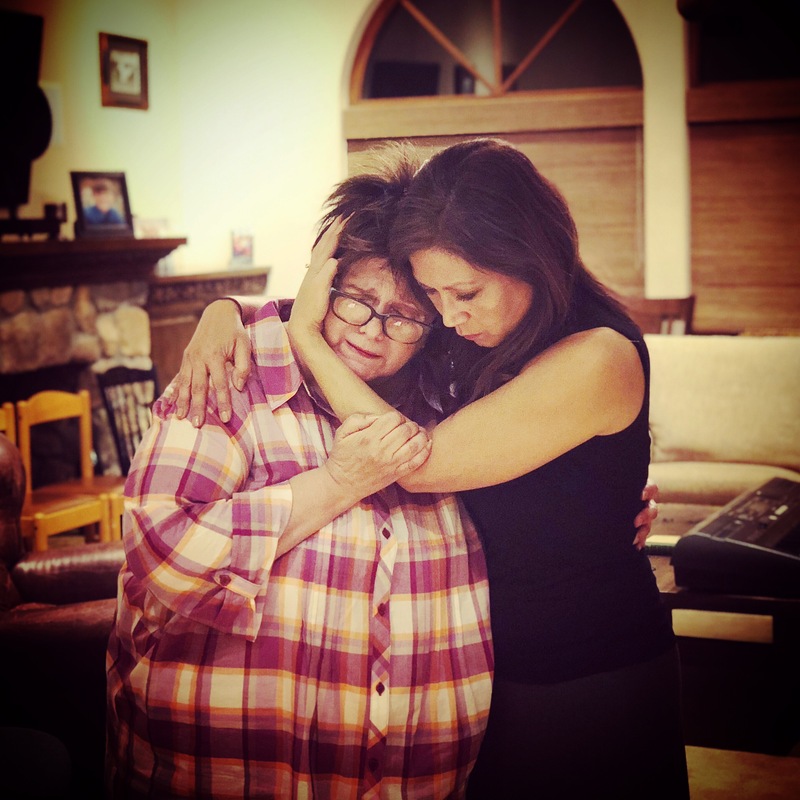 Terri, can you briefly walk us through your story – how you started and how you got to where you are today. As far back as I can recall, I have always loved music and wanted to perform. My large Italian family was very musical and profoundly proud of sharing their talents at family dinners, weddings, holidays, and well, any “day that ends in y.” We had trombone and trumpet players, “pots and pans” drummers, a pianist, a mandolinist, and of course, as in every Italian family, an accordion player. The rest of the family was filled with comedic storytellers and singers. No rehearsals required – the only ingredients we needed to perform were family, someone’s home and endless pasta! Unfortunately, at age 9, my world changed overnight, and any dreams I had of performing were put on hold for decades. I was diagnosed with chronic uveitis, a debilitating eye disease that progressed rapidly. It caused me to completely lose sight in my right eye, with my left now having a very limited vision as well. Thanks to my mom, I was able to continue in mainstream school, but schools in the ‘60’s didn’t accommodate kids who were physically challenged, so I was not able to perform in the school’s musical productions. Instead, I attended all the rehearsals, sat in the back row and watched. Much like Tracy Turnblad in HAIRSPRAY, “I knew every step, I knew every song,” but I just couldn’t find a place where I belonged. I’ve lived a happy life. Shout out to my husband Darin (we’ve been married for over 20 years! ), and in 2000, I traveled to the Pentagon in Washington, D.C. where I received the Department of the Navy’s Outstanding Employee with a Disability Award. But I have never given up on my love for performing. So, after 50 years of sitting out, I decided that needed to change, even with the challenges I knew I’d face. I had some bad auditions and my share of rejections from well-meaning companies who simply couldn’t make the accommodations a performer like me would require. I eventually found a local community theatre that would work with me, and while I loved it, I enjoyed singing more than acting, and they didn’t produce musicals. In 2013, I saw an audition notice for a musical revue by another educational company in their first year, Breakthrough Workshop Theatre and was cast. I sang Stephen Sondheim’s “Broadway Baby” in that first concert, and due to BWT’s unique structure and process, I have finally found that “place where I belong.” I have since been in a total of 19 projects in the last five years including staged readings, musical concerts, and productions. 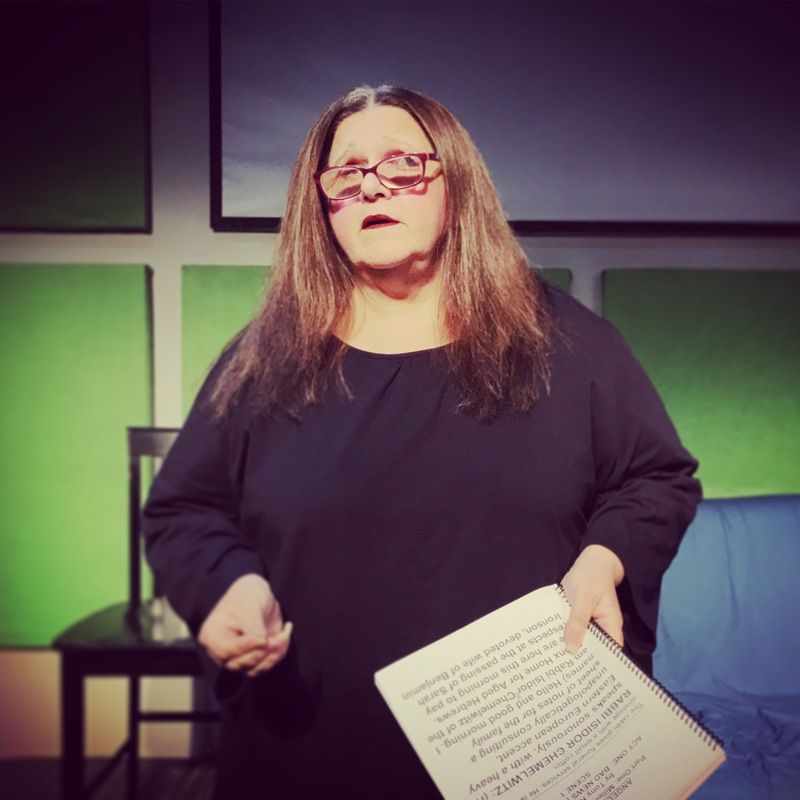 Earlier this year, I played Violet Weston in a site-specific Special Event Breakthrough Workshop of the Pulitzer Prize-winning AUGUST: OSAGE COUNTY; in 2016, BWT produced my one-woman, autobiographical play YOU’RE IN MY BLIND SPOT! 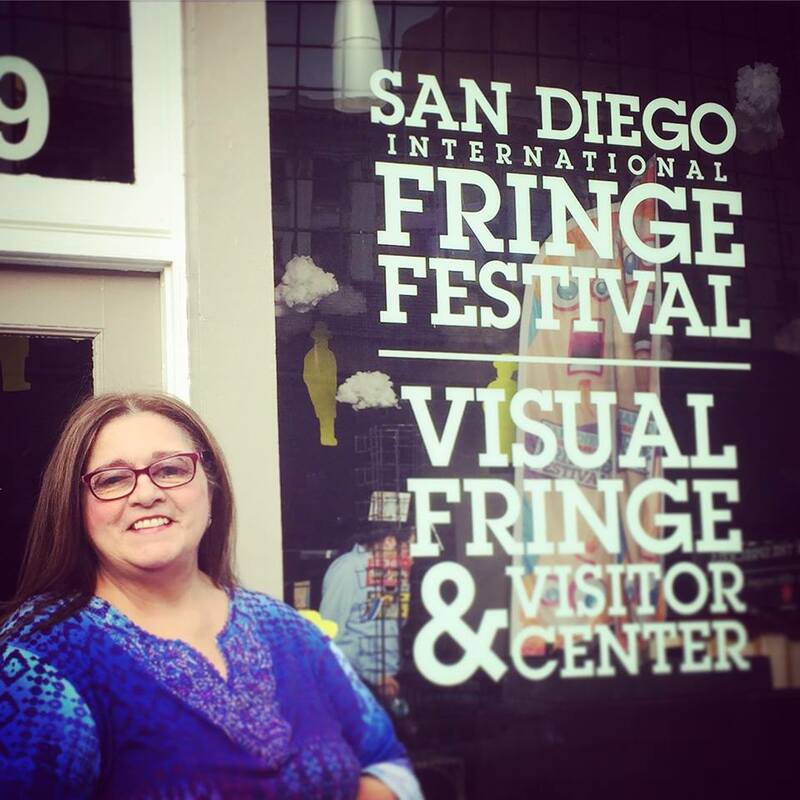 at the San Diego International Fringe Festival; and in Spring 2019, I’ll be singing once again with BWT in my very own cabaret debut, entitled THE LEGALLY BLIND AMBITION TOUR. There have been many bumps in the road on my journey, and as the final destination is still out there, I’m certain more challenges lie ahead for me. I find this question hard because I’m not sure I always “see” the obstacles ahead of me until I get to the other side or until someone points them out to me. I guess you might say I am literally “blindsided” by them, which I suppose might be a blessing in disguise. My vision changes not on a daily basis, but rather moment-to-moment throughout the day. There’s no rhyme or reason as to why some days are better than others; it’s just the nature of the condition. But I try to overcome these obvious obstacles in any way I can and maintain a positive outlook, a lesson I received from my mom. I have learned how to manipulate my computer at work in order to complete what I need to do, I have the support of my husband, Darin, and, while not as plentiful as I’d like, I have discovered performance opportunities in the last few years as companies have become more inclusive and willing to provide opportunities to all kinds of different artists. 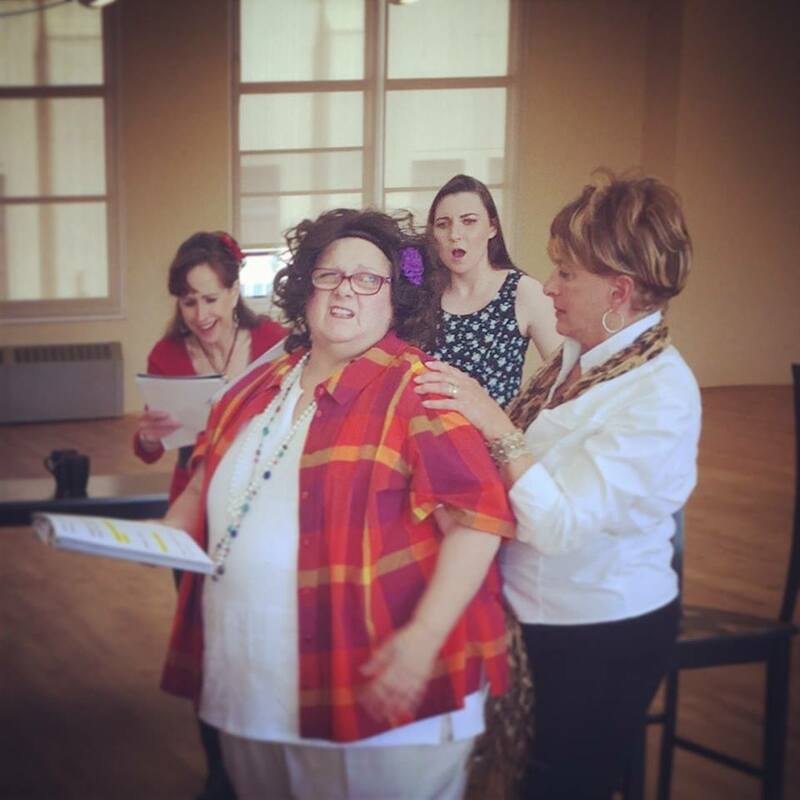 I sing with a local ensemble group, continue to dabble in other theatre projects at a couple of community groups and have found an artistic home at Breakthrough Workshop Theatre, where I am already slated to participate in multiple projects throughout their 2019 Season. I try to focus less on my struggles and more on my dreams because I believe that if I never stop reaching for them, I will continue to be happy and inspired. Please tell us about Breakthrough Workshop Theatre. Breakthrough Workshop Theatre is amazing! It’s one of the most unique theatre companies in San Diego, and I’m honored to work with them. 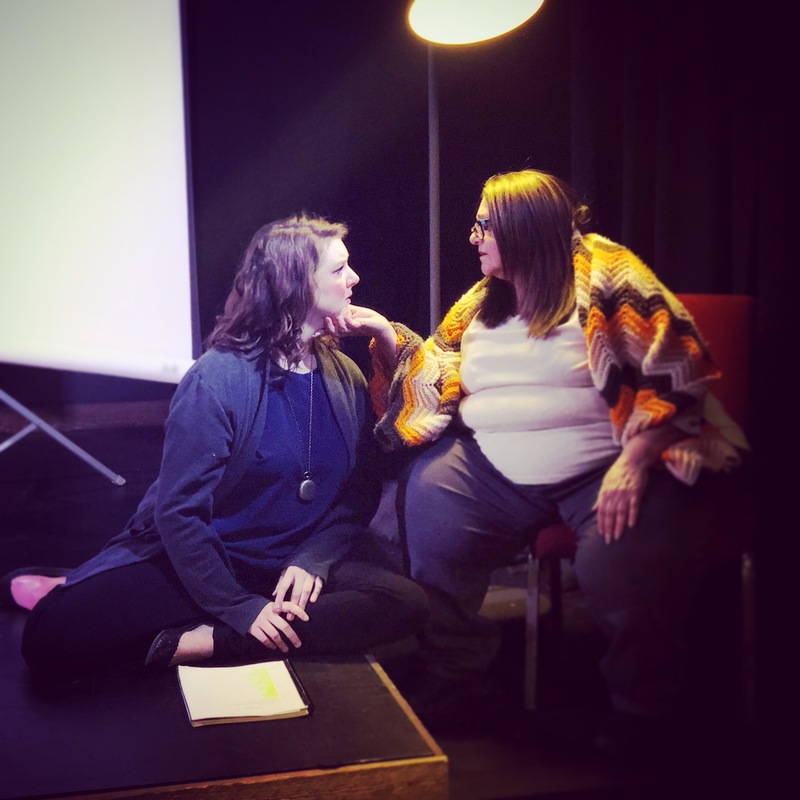 BWT just finished it’s 6th year of producing work and provides a platform for artists of all ages, backgrounds, experience levels and life experiences to participate in theatre while still facing the realities of their daily lives. So many people out there have a deep passion for theatre, singing, acting and performing, but can’t do a “traditional production” for a variety of reasons. Being a part of production can oftentimes mean giving up weeks or months of time, facing daunting pressures from many sources and some artists, even though they might be brilliantly talented, are simply not able to live up to those demands. Does this mean those people should give up on doing what they love? At Breakthrough Workshop Theatre, they don’t have to. BWT does not present elaborately-produced shows. They focus on staged readings, musical concerts and minimalist productions that allow all kinds of artists to participate due to the independent nature of the rehearsal process and the limited time commitment required to participate, which is usually only a few days. They offer a safe place for artists to explore on their journey, by framing the creative process around an artistic or personal “breakthrough” that each artist identifies and aims to achieve. I have witnessed kids as young as ten and those as old as eighty-five benefits from the BWT experience, and personally, I cannot express how much this company and the artists I’ve met along the way have inspired me. Before my eyes changed, I have fond memories of singing right alongside the many colorful members of my family. 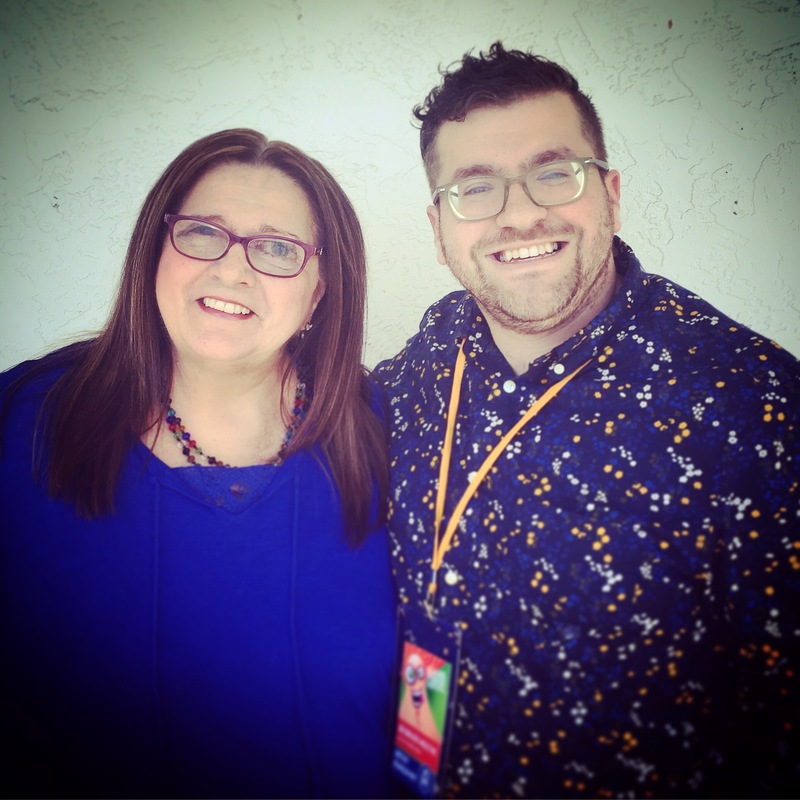 I have a cousin Vinnie – no, really! – who was in a band and I thought he was a movie star! During rehearsals, he taught me popular songs and then at family parties, I would sing as the whole family would stand and cheer! After my eyes changed, my opportunities might have lessened, but my love for performing didn’t! And I knew, even at the young age of 9, that nothing would prevent me from doing what I love – it just might have to be a bit different from that point on. So, on Saturday mornings, as my parents ran errands, I created “Hairbrush Theatre,” where for years, I would perform by myself in my living room, acting out all of the parts from the movies I loved or the rehearsals I watched at school, singing into, you guessed it, my silver hairbrush! Was it glamorous? No. Was it fancy? No. Did it mean the world to me? Well, let’s just say I’m 65 years old and I still have (and occasionally sing into!) the same hairbrush. In fact, I think that’s why working with BWT has been so meaningful to me. 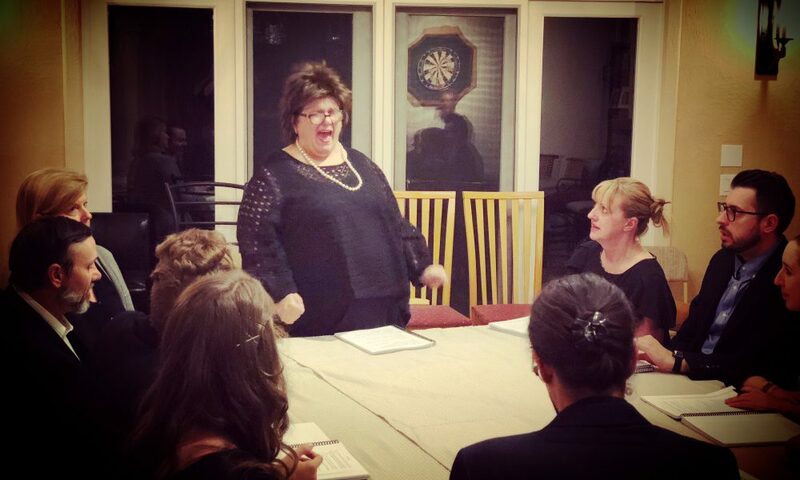 Because when I perform with them, I am taken right back to the memories of the many beloved living rooms from my life – the ones with my loving family and the ones where I got lost in the music as I sang my heart into that silver hairbrush. At BWT, it’s not about doing it for fame, and it’s certainly not about doing it for glory. It’s about doing what we love to do, together, because we can’t imagine our lives without it.